Everyone has something that scares them. Sometimes they're rational fears, sometimes they're nothing more than irrational phobias. Either way, our fears can lead us to make poor decisions and hold us back from pursuing our dreams. 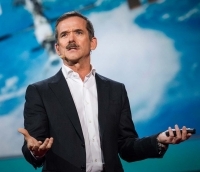 In this issue of the Pulse, we share some insight on facing our fears, including a TED Talk by astronaut Chris Hadfield on how to prepare for dangerous situations in space and life.